As you can see demolition is well underway by Bradley Demolition. 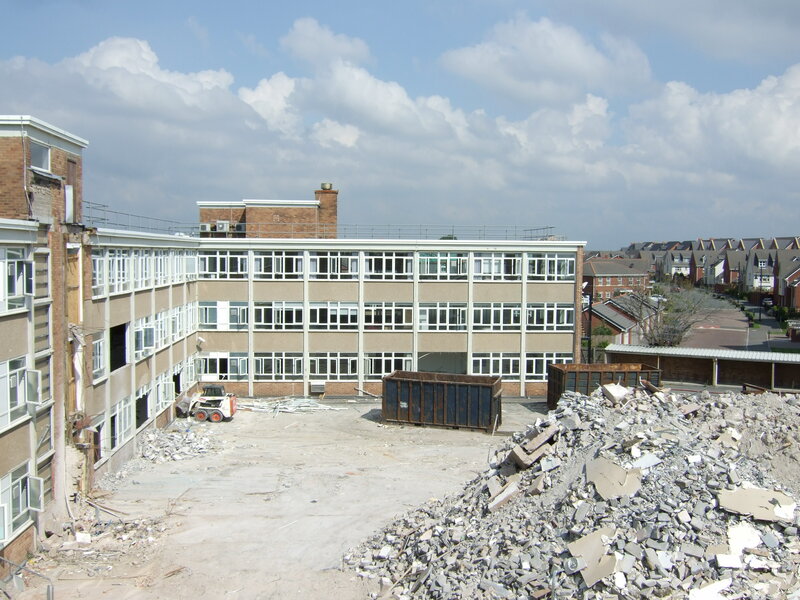 The Central and South Blocks have been reduced to rubble with the appropriate materials retained and crushed on site and will ultimately be recycled for use on other projects. 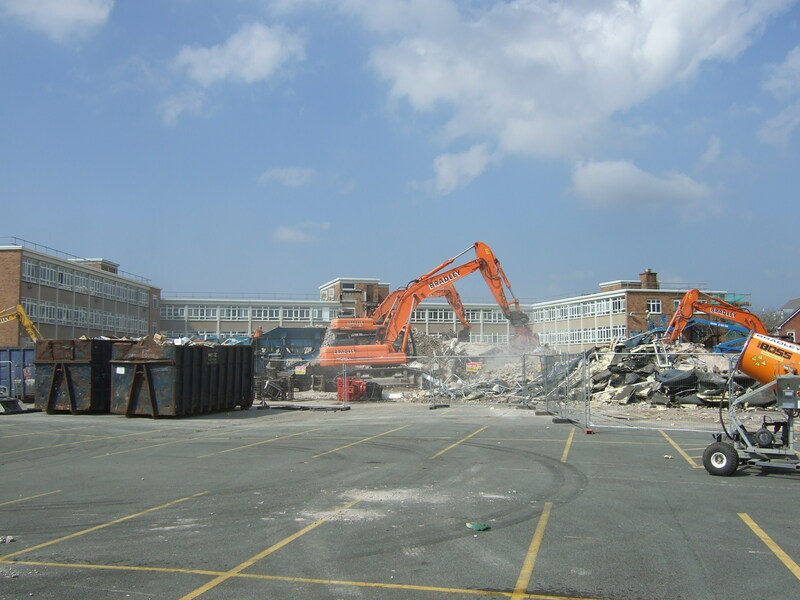 This entry was posted in Demolition and Ground Works and tagged demolition, Views by Helen Broughton. Bookmark the permalink. These demolition photographs were taken on Thursday 22 August during a site visit by ourselves, Sleater & Watson, to review demolition progress. Based in Preston, we are the Civil and Structural Engineers for the Jubilee House project, a development which we are very proud to be involved with. We currently have a dedicated team working hard on finalising drawings and specifications for the imminent tender process. Must crack on!